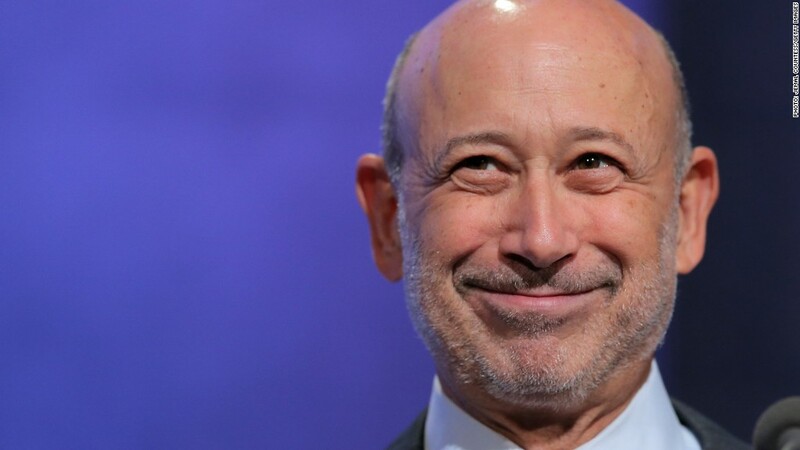 Goldman Sachs Chief Lloyd Blankfein is probably pretty happy with his firm's earnings. If Goldman Sachs (GS) is any guide, the luster of Wall Street may be returning. The investment banking powerhouse trounced earnings expectations Thursday when it reported a 25% jump in third quarter revenue compared to same period last year. In a sign that the post-crisis cost cutting mentality on Wall Street may be ending, Goldman said it's total headcount increased 3% last quarter. And employees can expect big paychecks this year. The company's compensation and benefits for the quarter (which includes money set aside for bonuses) were $2.80 billion, 18% higher than the same three months in 2013. Goldman capitalized on the wave of mergers and acquisitions activity over the summer, bringing in almost $600 million alone from fees earned by advising companies on such transactions. Managing money for wealthy individuals and institutions also pays well, evidenced by the firm's 20% bounce in its investment management division. Overall, Goldman booked a third quarter profit of over $2.2 billion, or $4.57 a share, on revenue of nearly $8.4 billion. That was compared to analyst estimates of $3.21 per share on revenue of about $7.8 billion. While the bank's numbers are impressive, they are lower than the second quarter. "The combination of improving economic conditions in the U.S. and a strong global franchise continued to drive client activity across our diverse set of businesses," said Lloyd C. Blankfein, Chairman and CEO of Goldman, in the earnings press release. "While conditions and sentiment can shift quickly, the strength of our transaction backlog indicates our clients' desire to pursue and execute their strategic plans for growth," he said. Still, investors are often a tough crowd. The stock is down 2% Thursday.